You work hard. That doesn’t mean you have to sacrifice eating delicious, local, healthy meals. Let us take care of that for you, even when you don’t have time to sit down for a meal. Whether you want lunch or just don’t have time to make dinner, we’ll have your order ready to pick-up when you get here. 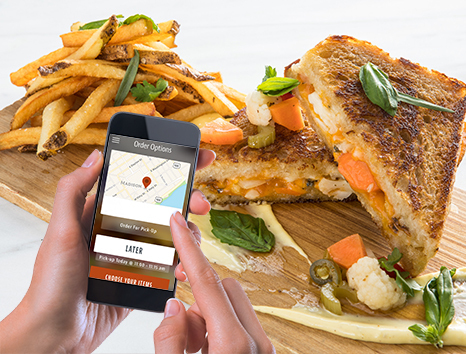 Place your order, and pay, using the Food Fight ChowNow app, and your food can be ready when you are. If you work in the Discovery Building, we will delivery your meal - free! To have your meal delivered, select DELIVERY, when prompted for your address list 330 N Orchard St, Madison, WI 53715, use your office number as the APT entry.